A great option for all those in search of a compact yet effective speaker set is this Creative SBS A35 2.0 Speaker set. It has an optimum performance which is ideal for students or professionals in corporate conference rooms. You can now shop for this utilitarian speaker at Kartmy for an affordable price. A grey colour with a black rear gives these sleek speakers a stylish edge. 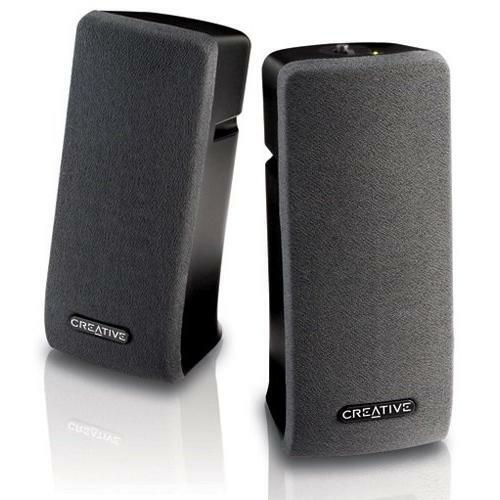 This speaker set from Creative consists of two satellite speakers with excellent treble reproduction and lend this set the required linearity of sound. Made of quality material, this set of speakers is rugged and can take a lot of wear and tear. The output delivered by this Creative SBS A35 2.0 Speaker set is 2 W in RMS. RMS is the root mean square of the sound delivered. Each of the speakers has an output rating of 1 W. They have a low distortion circuit with a frequency response of 100 Hz to 15 KHz. This speaker set has a signal-to-noise ratio of 70 db which results in a clear and decently loud output. Creative SBS A35 2.0 Speaker set can be used with a 3 mm audio jack to enjoy your favourites stored in your laptop, PC or mobile for hours. It runs on a standard voltage supply. The controls are on top of the right speaker for ease of use.